Drake really is a national treasure. After proving that he's still the most popular rapper in the game, recently breaking Spotify and Apple Music same-day streaming records and tying a Billboard record with the Beatles, he has yet another milestone to celebrate. Following the release of his recent Scary Hours EP, he also appeared on a track on Migos' new album, Culture II, with "Walk It Talk It" leading the 6 God to hit yet another impressive mark in the numbers game. As reported, the collaborative single marks Drake's 70th top 40 song and his 160th entry on the Hot 100 overall. While he currently holds the record for the most Hot 100 chart entries as a solo artist, he is still behind when it comes to Top 40 singles, with Lil Wayne ranking in at 71 and Elvis Presley at 80. 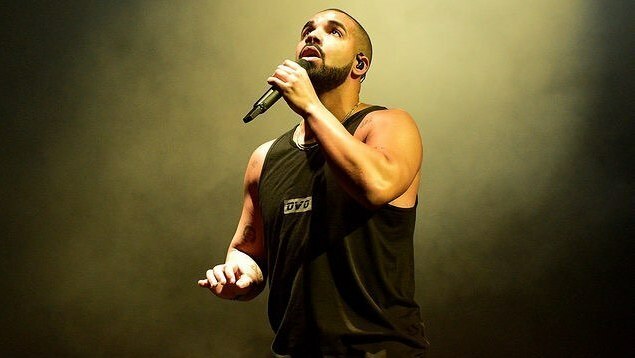 Additionally, Drake is also killing it in the philanthropy department, recently donating $25,000 and OVO-designed uniforms to Miami Senior High School after shooting a music video on location. However, the charitable gesture didn't end there, with Drake later presenting a University of Miami student with a $50,000 grant. Destiny James was the recipient of the grant, taking to Instagram to share her story. "I was contacted this weekend about doing a video speaking about where I come from, things I've been through, and why it is so important for scholarship donors to continue to donate," she shared in her caption, explaining what transpired after she submitted a personal essay as part of a scholarship application. "This was the surprise the whole time. Drake told me that he has read great things about me and appreciates how hard I've worked through so many trials and decided to give me $50K for my tuition." Absolutely amazing. Many salutes to you, Drake. #MORELIFE, indeed.